What do I do to access my computer files back at home for my work presentation? How can I troubleshoot someone's computer without being physically there? How to setup remote connection in Windows 10 OS? In this article, you'll know what remote connection means. You'll also understand the importance of remote access remote connection. Finally, you'll learn how to setup remote connection in Windows 10 OS. Remote desktop connection refers to the technology of gaining access to a far computer without being physically there. A software interface between you and the target computer is provided and accessed so that the connection can be established. This is essential in knowing how to setup remote connection in Windows 10 OS later. People who travel a lot and technical support professionals will benefit most from this technology. How does remote access work? Remote desktop connection works by identifying first the device you want to connect. Then your device needs permission to connect to the remote device. After the authentication process is over, then you gain access to that remote device's resources. Knowing first about the importance or benefits of using remote desktop connection is essential. Then later you'll understand how to setup remote connection in Windows 10 OS. Why Remote Access Control Software? Issues can be addressed remotely without any delay. Your business requirements or goals can be quickly met. You have easy access to the resources of all the devices connected to the network. Network and systems administrators can monitor and troubleshoot issues easily. They also have control over the access rights to files and folders on the network. It has a low maintenance cost, supports urgent business development plans and ideas, and supports BYOD (bring your own device) environment. These are just some of the many reasons why you need to use this kind of technology. You now know the importance of remote desktop connection. 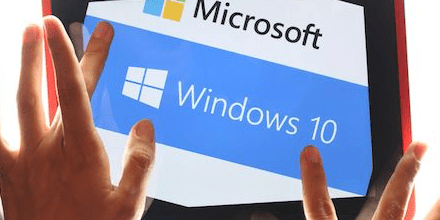 You'll now learn how to setup remote connection in Window 10 OS in the next section. How Do I Install Remote Access And Use This? To gain access to a remote computer, you'll first need to enable remote desktop connections on your PC. Windows 10 Home doesn't include support for remote desktop connections and only Windows 10 Pro and Windows Business are supported. Click on allow remote access. Make sure to select "Allow remote connections to this computer" on the Remote Desktop tab. Click the OK button, then click on Apply and the other OK button to finish this process. Press the Windows key and "R" to launch a search box. Type in Remote Desktop and hit the enter key. Type the name of the PC you want to connect to and click on Connect button. Open the Remote Desktop application on your device (available from Microsoft Store, Google Play, and the Mac App Store) and type in the name of the target PC to connect to. Choose the name of the remote PC that you just added and wait for the connection to establish. There you have it. You've just enabled and set up remote desktop connection on your computing device. You know now how-to setup remote connection in Windows 10 OS. You've learned what the meaning of remote desktop connection is. You've also understood the importance of remote desktop connection. Finally, you've been taught how to setup remote connection in Windows 10 OS.